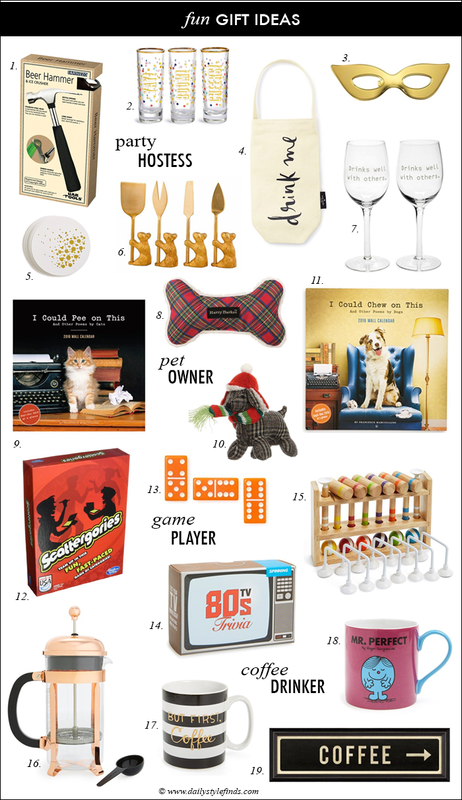 Gift ideas for a host/hostess, pet owner, game player and coffee drinker… How about the 80s TV trivia game (there is also the 90s trivia game), or the Little Miss Sunshine coffee mugs... All of these items are free shipping and a lot are under $25. Those mugs are so cute! What great gift ideas!